If you manage a fleet or just multiple drivers as part of your business, ParkMobile can give your drivers a smarter way to pay for parking and give you better visibility into the usage of your vehicles. Save time and money by using the Parkmobile for Business program to keep track of all of your fleet vehicles' parking receipts, payments and reimbursements. ParkMobile gives you the visibility to see exactly where your fleet vehicles are going every day. Easily track where vehicles are parked and how much is being spent on parking fees. No more drivers carrying around petty cash. 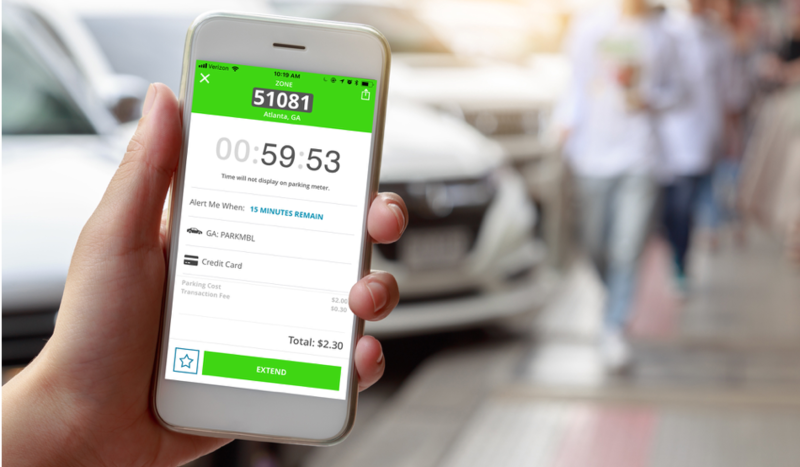 With ParkMobile fleet accounts, your drivers pay for parking with the app linked to your corporate account, so you have complete records of all parking transactions. With ParkMobile, your drivers don't have to constantly run back and feed the meter. They can pay right on their mobile device and extend the time of their parking session remotely. So, they spend more time working and less time at the meter. If your drivers are running late getting back to their vehicle, they don't have to worry about getting a ticket. They can easily extend the time of the parking session remotely from the app. ParkMobile has helped us better manage our parking costs for the 50 cars in our fleet. Plus, our drivers love the convenience of paying with the app. Who Uses ParkMobile for Business?